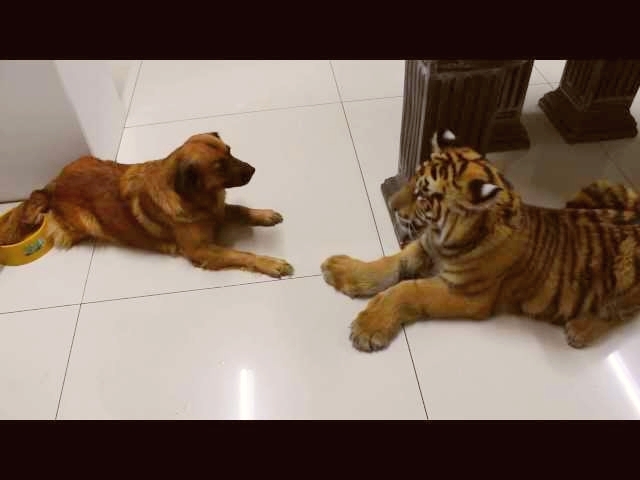 A dog guards his water bowl from a tiger. He might want to learn to share while the tiger is still young! The owner lives in South Africa and the tiger is a rescued animal. The dog and tiger are best friends and get along well except when it comes to sharing his water. Previous postWhere is Maru, the Cat?